Game Jam organised by Train2Game students had a spread of talented entries and some great games are coming out of the event. This year saw the launch of Game Marmalade, the student organised Game Jam for Train2Game students. It was well attended and the games produced impressed event organisers. The next step in the process will be the judging. The event was a great chance to meet new people and learn new skills. Organisers can’t wait to see the games finished that had such huge potential. There were four teams in total with three games produced for judging. The theme chosen at random was – The End Is Just The Beginning. Some unfortunate drop outs meant team members had to adapt to new roles. Three out of four games were completed but the unfinished team are still working to finish its project. The attendees of the Jam are continuing to work on their titles or beginning new projects together. The event was created and managed by Train2Game forum member Slinks. She was extremely happy with how the event went, especially with the games the students produced and the networking opportunities created. The next step is the judging process, and then announcement of the winner. 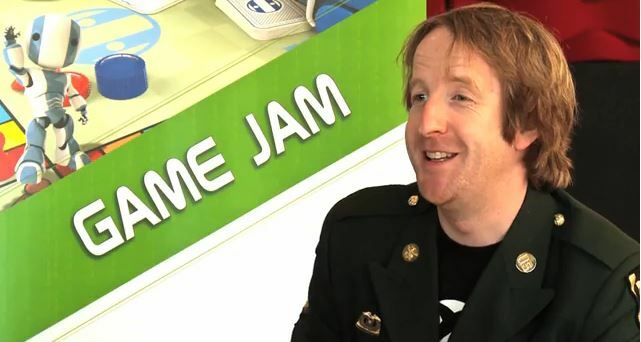 There’s potential for another Game Jam in the future but that’s not confirmed at this time. 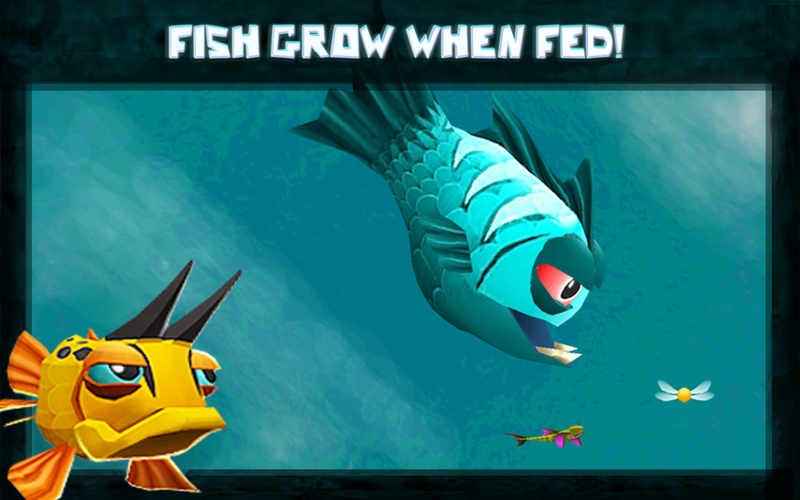 Touch screen title that has you avoiding getting ‘Nommed’ by other fish will soon be available to buy on all major mobile gaming platforms. ‘Nom’ really impressed at this year’s Train2Game Game Jam and was judged the best game of over twenty submissions. Judges including Jon Hare, gave it the top prize, giving the development team the impetus to get the game out there and make it available for gamers to buy. The game is beautiful in its simplicity and completely addictive game play. The characters are designed to have instant personality and help to immerse players in a wonderfully playful environment. Much like popular titles currently available, the game drops the player straight into play and challenges the player to hit a high score in never-ending gameplay. Controlling a fish with a finger using touch screen technology, players pull and push a character around the screen, eating to get bigger and collect points, while avoiding other fish looking to take a bite out of them. The longer you stay alive, the higher your score will be. But beware you will get bigger and more Nom fishes will arrive on screen to take a bite out of you as your score gets higher. Pick up power ups to improve your survive-ability while whizzing your finger around the screen to avoid your attackers. The team have promised more updates to come and lots more additions to keep improving this wonderfully playable title. Whilst at the 2014 Train2Game Game Jam there were several students who got interviewed about their time with Train2Game. You can now view the students opinions in the document below! Enjoy what the Train2Game students had to say. Train2Game News Game Jam 2014 Results! The Train2Game Game Jam is over for another year and there was some top quality games created at the event this year. The Judges; Andrew McCartney of Microsoft Ventures, Jon Hare of Sensible Software fame, Ian Johnson Apps world founder, Professor Carsten Maple from the University of Bedfordshire and Clive Robert of DR Studios began judging at 2pm on the Sunday and by 6pm they were ready to announce their decision. There were three categories the teams could win in; Teamwork, Most innovative and Best Game. Train2Game Principal Myra Smallman announced they couldn’t choose between two teams regarding the Teamwork category so two teams were victorious: Level X Games and Unity Dreamers. A massive congratulations to the winners and well done to all the students who took part it was a great weekend and I hope it was a good birthday for Neil Gorman! 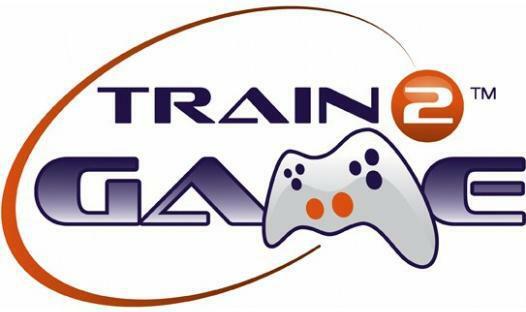 The registration for the 2014 Train2Game Game Jam is now open! Places are limited so get booking as soon as possible. This Game Jam will be a bit different as the details for the jam were decided by YOU! A vote took place on the Train2Game forum for how this jam will take place. As with previous Train2Game Game Jams this will be a Forty Eight hour event and it will take place at the University of Bedfordshire, University Square, Luton, Bedfordshire, from 3pm on Friday 11 April 2014 until 7pm on Sunday 13 April 2014. Where as with previous Game Jams there has been a specific platform for your games, this year the choice is yours! You can create your game for what ever platform you choose, just remember it must be within your capabilities to finish the game in the time limit! The teams will have members of four to six and you can either set up a team with your friends or if you prefer allow our match maker service to put you in a team with similarly skilled people. You may bring your own equipment if you choose or there will be equipment provided. The theme is always an important part of the weekend and there was a dead heat in the voting for how the theme works. At the start of the weekend a draw will be had to decide the outcome. A small donation of £5 per person will be asked of you when you sign up at the desk on the weekend and all money that is collected will be donated to the great charity, SpecialEffect. Last week I got to talk to Train2Game student, Neil Gorman. Neil is a full time plumber who has had an incredibly busy games industry career so far and his hard work has paid off! Neil is now on his way to Birmingham University to do a Masters degree in Games Development. 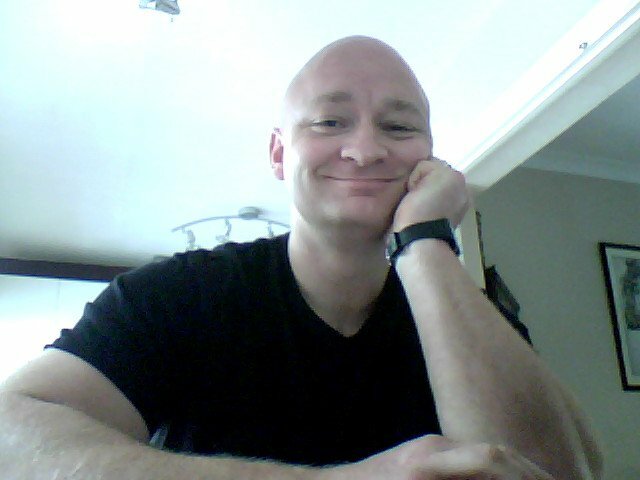 Hi, I’m Neil Gorman, I’m from Worcester and I am on the Art & Animation course. Hi Neil, how you doing mate? Not so bad Mark, how are you? I’m very well ta buddy! So we’ve got quite a bit to cover with you haven’t we? Oh right! I do try to keep me hand in! So tell me about all the stuff you’ve been up to lately. Lately? Uh, well. Over Christmas I did a couple of weeks for Lightwood Studios and Microsoft, doing a little bit of illustration but it was for fifty apps, so I got a bit of a sweat on with that! I had a word with Myra Smallman and she got Cat Forsyth and a lad called Malik involved as well. We managed to plough through them, it went really well, it was a good experience. Before that we did a Game Jam which was a World Record which was really good. I’m doing a little bit for Team Dart, done a little bit of work for Derp, as you know and I’ve just been accepted to Birmingham University on a Masters Games Development course as well. And I also do life drawing on a Tuesday! Just to add that little bit extra because you weren’t busy enough! Yeah that’s right, yeah! Oh I also work full time! That it now, you sure? How long you been doing that for? I’ve been doing it for… Well a bit too long really! I’ve been doing it for twenty years. What made you go from Plumbing to Game Design and Art instead? Well I’ve always been in to games, since I was about 4 years old when my Uncle got an Intellivision with Pong and all that on it. I always used to go down the arcades and play 1942. I’ve basically seen the games change through to all the console like the Commodore 64, Sinclair Spectrum and all that. Then a few years ago I got a card through the door for Train2Game, it was just a post card saying what Train2Game did and I think it was just a time in my life where I thought, “yeah I’m going to do this! I’m going to try this course out and see how I do.” Before that I never even dreamed about trying to design assets or anything like that, when I first fired up 3DS Max I couldn’t even model a box! So it’s how it came about really and it’s the best thing I ever did. Excellent! So the Train2Game course has certainly helped you a lot if you are now going for a Masters degree? It’s been absolutely unbelievable really. The people I met along the way, including yourself and all the lads at Derp, everyone I’ve met along the way. I’ve made so many friends it’s great, it’s been fantastic! How did the Masters Degree come about, how did you end up going for that? Well it was just a punt really! When I finish work, I do my coursework and subsidise with digital tutors and other game stuff and I just love it! It’s my hobby as well as my love. So I saw this advertised on the internet and I also saw at Eurogamer for Gamer Camp. I filled it all in, put my details in for what I’ve done in the past, I’ve done BTEC in Engineering and NVQ’s and what not, told them I was with Train2Game, I sent them an email as well and they got back in touch with me and gave me an art test. Very nice and I assume you passed that with flying colours? Yeah, it was a bit of a stretch but it was over 2 weeks and you had so many Polygons you had to adhere too and do textures and what not. So I sent it in and then I had an interview, so I had an interview at Birmingham University. So I went and the lecturer got snowed in so I had to do It over Skype. It went really well and a few days later he sent me an email saying I was accepted, unconditionally! Excellent! So when do you start doing the course or have you started already? No I start in September for a year, it’s full time. For a year full time is it? So I imagine you’ll have to give the plumbing up a bit then will you? A little bit yeah! I’ll still do a little bit, I’ve still got to pay the bills at the end of the day. So what other things are you doing, you said you were also working with Derp Studios as well at the minute? Yeah, ever since the Make Something Unreal and the first Game Jam we did I’ve always loved the lads from Derp as they’re a really good laugh and they really get their heads down and work. I went to Nigel’s 30th birthday and I got talking to Chris and he said “Do I fancy doing some Animation and Modelling for him” and I said “Yeah, no problem!”. I’d give up any time for the Derp lads. So you really just don’t like sleep any more, you just have to do everything don’t you? I’m just trying to learn as much as I can really! Yeah, you also said you are doing a life drawing course, is that helping you a lot? Oh it is! It really is. It’s all naked models, one week it’s a woman and one week it’s a fella and for anatomy and getting the light and the forms and everything it’s just really good. I suggest any artist to go on a life drawing course, it really helps. What would be your biggest ambition for your career? For my career? I would love to work for a big AAA company, possibly as a Technical Artist or Rigger or along those lines and just being involved in the games industry as a whole. Early last week I went to the Animex Festival in Middlesbrough and you just get an energy off of people in the games industry, they’re so enthusiastic, it’s addictive! Yeah I definitely know what you mean there! It does the same for me. What about your own studio, would you ever be interested in making up your own one? I think when I’ve got more experience, I know there are lads who have started their own studio but I want to get to a point where I am happy with what I am doing with my art and be at a certain level. At the moment I’m still just learning and that’s why I do so much, just trying to learn as much as I can. When I get to a certain level, I might contemplate it but if someone came alone and said “Hey Neil, how would you fancy starting out our own studio” yeah, I would always give it a go because I just love it! So if a new student came up to you and asked you what your best bit of advice would be, what would you say? If you’re going to go in to Games Development or Art or Design or anything like that, don’t go in to it half cocked. If you’re going to do it you have got to be 100% focused because there is so many people out there, if you look on the forums or on polycount, there are so many people out there who are good competition, if you really want to do this you have to get your head down and work! But enjoy it! It is great, there is nothing better than getting home from work, getting on the PC and doing any Art & Animation but to do it as a career, that’s what I am really aiming for! That’s perfect! I think that’s all we’ve got time for today Neil, thank you very much buddy! No problem Mark, I’ll talk to you soon! Talk to you soon mate, bye!